Not displaying correctly? View this email online. There was some stiff competition in last week’s Crow Wood Members Invitational, eventually being settled by better inward half scores. Thank you again to those who took part, and we hope that all visitors enjoyed their time at Crow Wood. The weather was very kind, and it allowed some superb scoring. Right - Looking back up the 1st hole, with the nearest the pin marker. 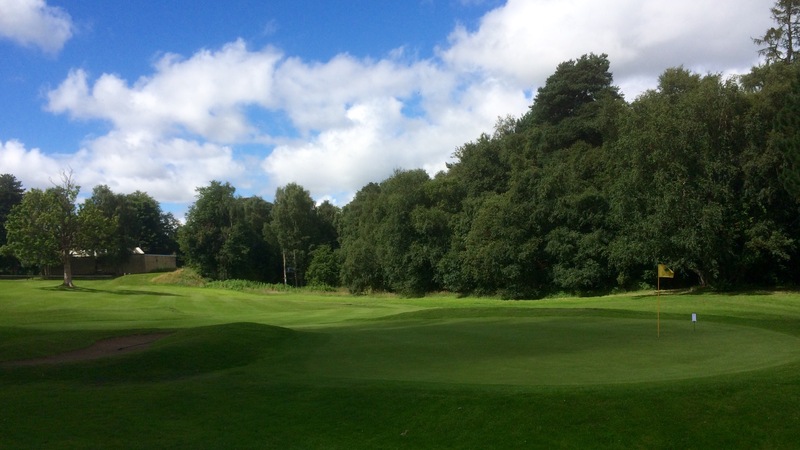 Further congratulation to Brian Smith, who won Tuesday’s Medal (2nd August) with a 67 (19). 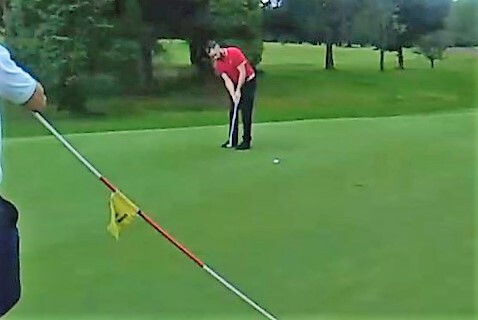 Played last Thursday, 28th July, a thoroughly enjoyable day led to some terrific play and great scoring. Thanks to all who assisted in running the event, and helped make it a success. The club and especially Head Greenkeeper, Gary Divers (and his team) received some very kind words just after the Senior Open last week, We hope Harry Brown doesn’t mind us reproducing this, as we also agree with his sentiments. It goes without saying that we hope Harry returns very soon, and will be a most welcome visitor. 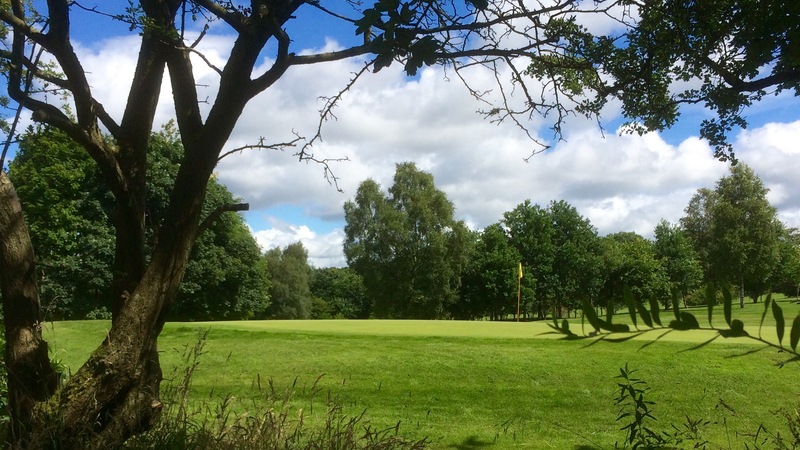 I played my 22nd Senior Open of the season at your golf club yesterday, 28th July. I have played all over the country including some of the top courses in the Edinburgh area including Mortonhall, Royal Musselburgh, Dunbar, Bruntsfield etc and many in the west including Cochrane Castle, Kilmacolm and I have recently played Western Gailes. The reason that I mention this is that nowhere that I have been this season have had greens that are as good as Crow Wood's were yesterday. The surfaces were absolutely exceptional and the ball rolled so truly it was unbelievable. Whoever your greenkeeper is please congratulate him and make sure that you keep him for the sake of your club. Your course overall was a delight to play but your greens took my breath away. Please note that dates, prices and arrangements will soon be posted for the Christmas Party night, and also for Christmas Day lunch. It is envisaged that these will attract a lot of interst so please book early. This was also Ed's third consecutive final, so its obviously a format that suits him. Q – What is the plans for the 9th fairway, as the layout of the recently planted trees, and the fairway bunker, seems to be a little at odds with each other. A - These trees were put there this year to assist with the development that will take place with the construction of a further 9th tee to the side of the 8th green. Whilst we had the tree spade this year and were in that area with reasonable ground conditions we felt it was best to put these in place while we had the opportunity. Once in place, the hole will play slightly more right to left, with a more defined hole shape as the trees mature. This email was sent to <<Email Address>>. You have received this after joining the Crow Wood Golf Club mailing list, you may unsubscribe at any time.